Kovalam is a dazzling visitor destination in Kerala; its tremendous magnificence is a focus for domestic and foreign travelers largely. Beautiful white sands are flourished in the shore of Kovalam, and the beach is also popular for tasty sea foods. Prawns, crabs, shrimps and squids are the easily available sea foods in this region. 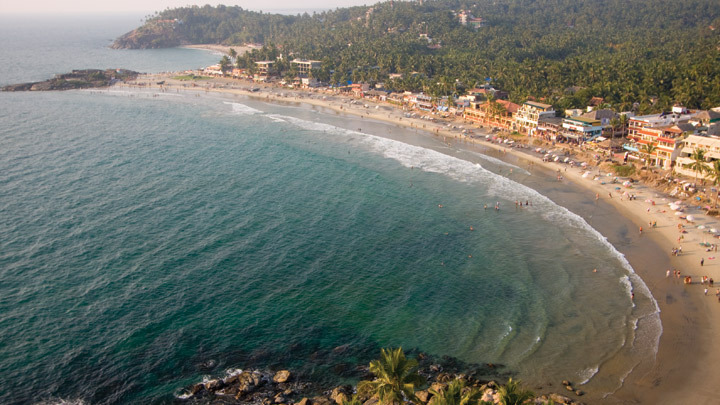 Kovalam is a celebrated beach, its bluish water and white sands makes a stunning color combination. 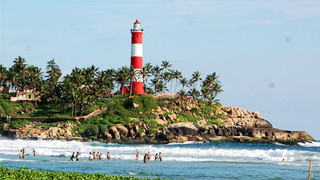 The light house beach is another stunning location, its green palm trees and golden sands are stunning attraction. The guests can climb up to the tower through the spiral staircase and feel the spectacular view of the ambiance. 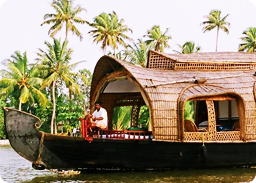 Kovalam is just more than its beauty, it’s up to date facilities support the tourism very well. 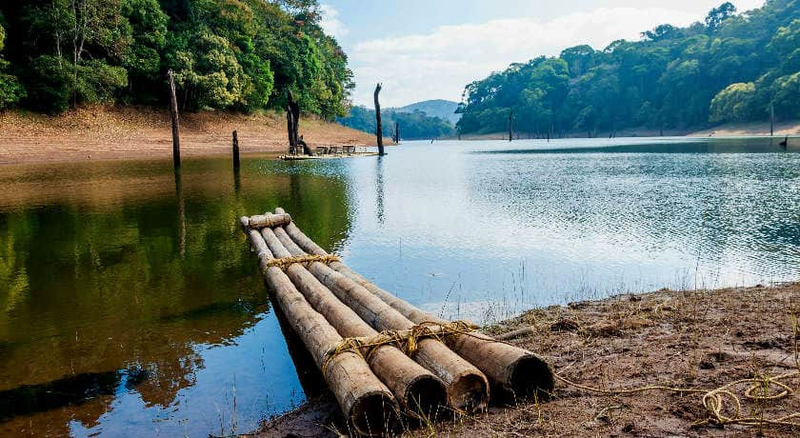 Ayurvedic health resorts, shopping zones, convention facilities, yoga and Ayurvedic massage centers, swimming pools and different budget cottages are all make Kovalam one of the fastest growing tourist destinations in India. Kovalam beaches are also popular because of their scope and grace of the beach activities include sunbathing, kayaking, swimming, catamaran cruising, wind surfing, water skiing, boat sailing and Para- sailing.